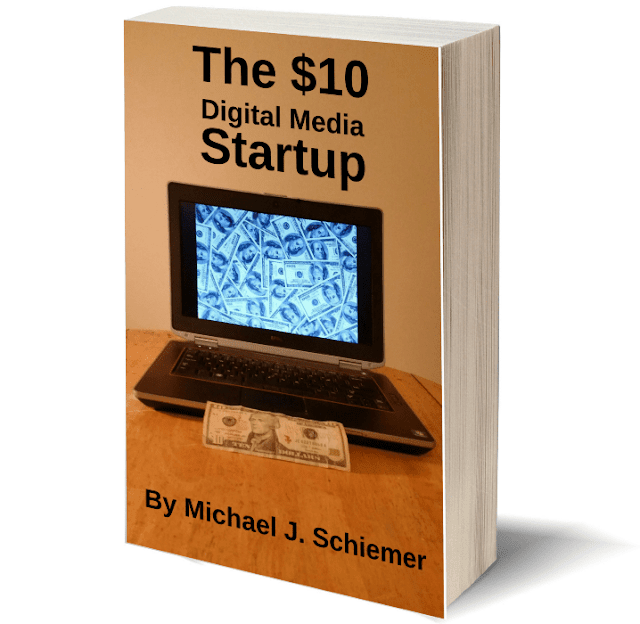 Create a lucrative and versatile digital media business for only $10 with this simple 10 Part System. You will also learn how to create incredible new professional opportunities for yourself and take your career to the next level! Starting a business is always a very challenging endeavor. You take major financial risks, remove the safety net of a steady job, open yourself up to criticism, and sacrifice your personal life… without any guarantee of success. Around half of all entrepreneurs and startups will fail and many of those that remain standing will not make much of a profit. Despite the daunting risks and odds, more people than ever before are starting their own business in hopes of escaping the 9-5 workplace. The enormous costs associated with starting a business can be a huge barrier to entry though, which prevents many from taking the plunge. If only there was a business model that was affordable for the average or financially strained person with strong entrepreneurial aspirations. That was the predicament I found myself in about a decade ago. I had recently graduated from college and I hustled hard to pay off my student loans in one fell swoop that year. While I had secured a job before graduating and I had helped to launch that business storefront, the owner / franchisee who was my boss did a spectacular job of running the business into the ground. I suddenly found my full-time job cut back to part time and my health and retirement benefits taken away in a matter of weeks. By the way, this was also in 2008 right after the market had crashed and money was very tight for everyone. I got another job immediately after but that employer did not provide much support for an employee that worked around the clock to generate business for them. I was sick of being held back by archaic policies and procedures that were detrimental to business. I also wanted to control my own destiny instead of being dependent on mediocre or incompetent employers. But I certainly didn’t have the funds or knowledge to launch a full-fledged brick-and-mortar business. And in that depressed financial climate it would be nearly impossible to find investors willing to give me a shot. I knew I needed to try a more unorthodox approach for my specific situation and I looked to the web. I had used websites and Facebook for years to sell products online or generate exposure for my part time business services. I saw the web and social media as great equalizers and that this digital approach was my ticket to competing with the big corporations. I cancelled my Chamber of Commerce membership, cranked up the social media marketing, built a simple website myself for just the $10 price of a domain name, started an email list, created some business listings, and I was off to the races! It was a long journey of several business models, websites, partners, successes, failures, and valuable lessons learned... but it all started with that $10 domain name purchase and a lot of elbow grease. The $10 Digital Media Startup is the solution to the quandary that many aspiring entrepreneurs find themselves in: Not enough money to get started and no room for error. Anyone can build this type of business from the comfort of their own home and even while working a full-time job. The internet, social media, and the plethora of powerful free content platforms are the ultimate equalizers. Although larger and more successful companies will have a leg up in several areas, a passionate and cunning entrepreneur can stake their claim to a successful digital media business and carve out a profitable online legacy. You just need to add your industry expertise and personal touch. All it takes is determination, knowledge, and a lot of hustling! I hope you enjoy this eBook which takes into consideration all the valuable lessons I’ve learned along the way and analyzing the keys to success for major digital media publishing influencers. Read the 10 Part System along with several great Additional Readings after each section for additional insight and strategy. Some of them are written by me but many are contributed from experts I’ve worked with from across the globe! I wish you the best of luck. Now it’s time how to make a profit and create incredible opportunities for yourself despite a shoestring budget! I hope you enjoyed this post about how The $10 Digital Media Startup can grow your entrepreneurial spirit on a budget! Interested in more startup wisdom and business lessons?